Upholstery Cleaning and Protection in Sydney. Do you require a professional cleaning service? Well, look no further, because Chem-Dry is the best quality couch upholstery cleaning service in Sydney! We will guide you from step 1 to step 11. What Fabric Do We Treat? We can also help with leather lounge cleaning and protection. Unsure about what fabric your upholstery is made from? No worries! One of our team members would be pleased to come out and take a look at the type of fabric you need to be cleaned. What Cleaning Methods Do We Use? Our experienced Sydney upholstery cleaning team use a range of cleaning methods to suit the fabric which includes hot water extraction/steam cleaning followed by turbo speed drying or solvent dry cleaning for delicate fabrics. The superior quality chemicals used are all non-toxic and are environmentally friendly, meaning you can rest assured your upholstery cleaning won’t have an adverse effect on you or your loved ones. With over 22 years of experience, our technicians only aim to provide both commercial and domestic customers with the highest quality of service. Why not take a look at one of our outstanding results by clicking here. 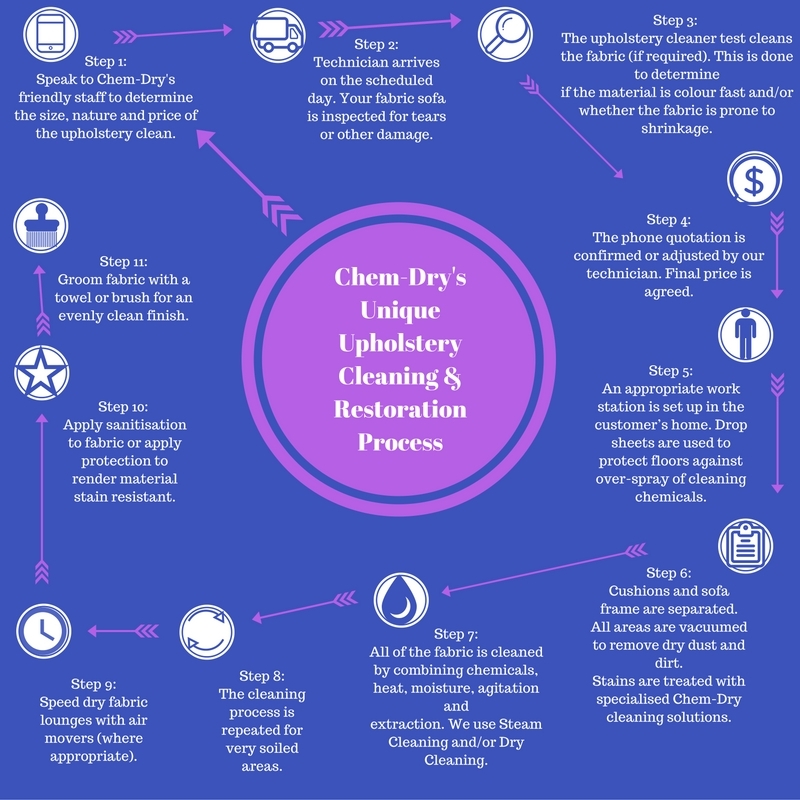 Our team always aim to provide its customers with the best possible service so for the best and most trusted upholstery cleaners in Sydney, give us a call today and you’ll see why Chem Dry QuickDry is Sydney’s most trusted upholstery cleaners. Sofas are not the only thing we can clean. Our technicians also clean office chairs and do car upholstery cleaning from time to time. We have cleaned the upholstery of movie theatres, buses, planes and boats. It does not matter to us where the upholstery is found, we will clean it for you. Effective upholstery restoration helps improve your indoor air quality. Which areas in Sydney do we cover? Alternatively, fill out our booking form and one of our friendly staff members will get back to you as soon as possible! While we are there, our technicians will also be able to clean your carpets, rugs, mattresses and tiles. 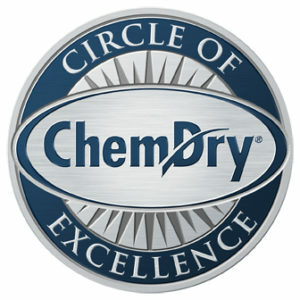 Call Us For a Premium Chem-Dry Cleaning Service! I would just like to congratulate Paul on the excellent service he provided today. Thanks Paul. I’m very satisfied with your service. Paul has been and gone – very happy with the results. I shall pass the second quote onto the EC and when we are ready we shall contact you for an up to date quote and book a time. Thankyou so much for your excellent customer service. * Highly recommended on expensive couches which will ensure easier future maintenance.